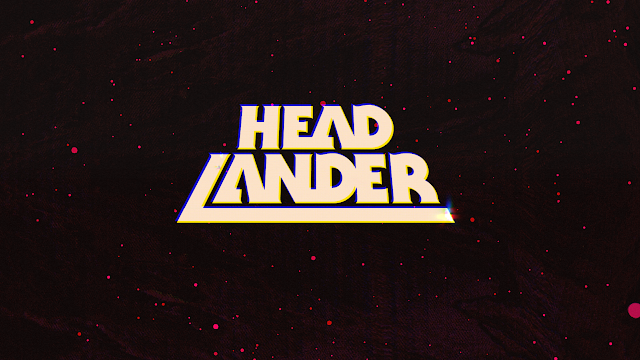 Before Christmas a code come through for Headlander, a retro-futuristic, side-scrolling, action-adventure game if the website for the game is to be believed. It was one of these games that I had heard nothing about, but a quick viewing of the trailer made me want to give it a look for the blog. The game begins with you choosing from three heads (lady head, and two male heads) and waking up like you've taken a drug you shouldn't have. That's not all mind you, as you soon find out you also have no body and must spend the game attaching yourself to any bodies that you come across if you want to be a complete person. These bodies also come in handy for the colour coded doors that only open when you either shoot them with that colour gun, or being that colour body when standing in front of them. The story goes that you're the last known human in the universe, with just your head and the voices you can hear the only things going for you early on. Going through the game your quest is to seek out clues to your past, as you travel through a colourful world, trying to work out what the hell is going on, while at the same time trying to stay alive and put that old brain to work. 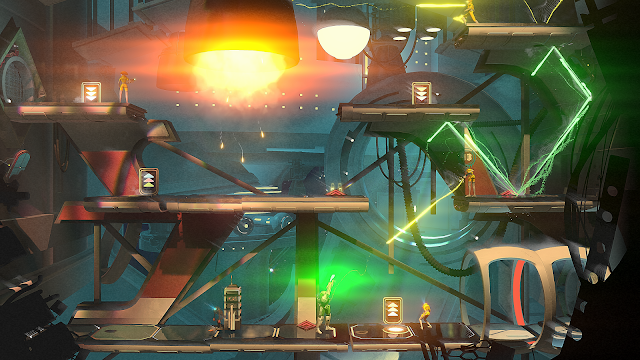 The best way to sum up Headlander would be to mix a few games up that you may have heard of or played over time, ending up with the game that Headlander feels like when playing. First off you take the map and exploration of a game such as Shadow Complex, which if you played that game had a decent sized area to explore but required you to revisit some places later on once you had a certain locked power available to you. Then mix in the controls and feel of Unmechanical Extended, which if you played that it had you flying around with a flying robot working out puzzles to progress in the game. While the puzzles in Headlander only really require nothing more than time, they do at points make you fly back and forth between one area, one such point that is perhaps the only downside the game has. 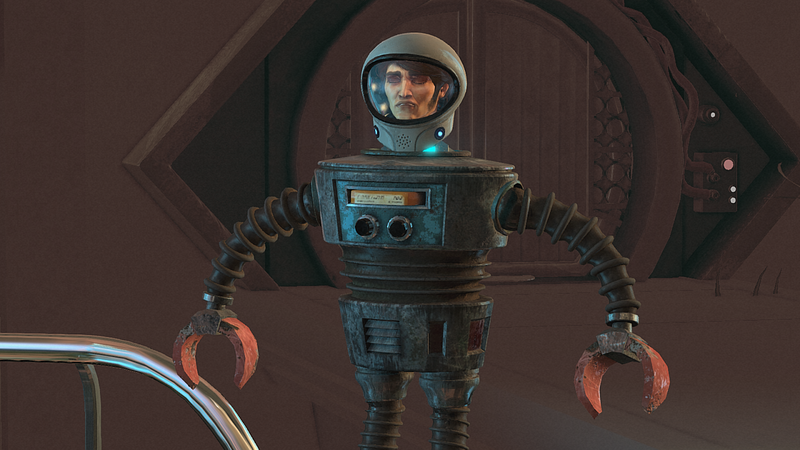 The whole point to Headlander is taking in the story and just exploring the world on offer, with upgrades kicking in soon enough giving you another reason to venture off into the game away from progressing the story. You soon find yourself having boosters and shields to name just a few of these upgrades on offer, which while adding to the game don't make it any easier when facing one of the few bosses found in the game. 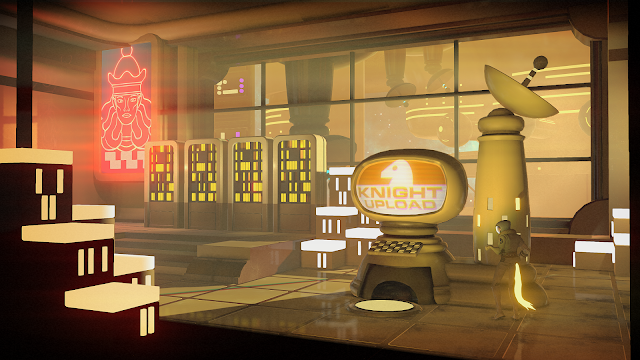 With no real weapons at hand, these bosses are more about brain work than they are about things you can hit them with, making Headlander a challenging game at times to say the least. The game also throws optional quests at you too, so if you want a break from the story then you can always give these a look too. Overall: Headlander was a game that took a while to grab my attention in all honesty, and even now one I've not found myself dying to load up every chance I get. This being said, when I have loaded up the game for 30 minutes or so, I have had fun with it. Offering a decent challenge and something a little different to what is currently available on the console. Like I said in the review, the only downside I can think of in Headlander is on certain portions of the game you do feel like you are going around in circles repeating the same task. When those bits are out the way though the game is really enjoyable, so it would be wrong of me to just judge it on those parts.